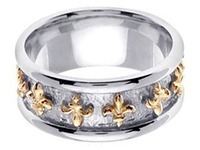 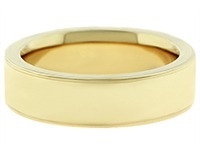 14k Yellow Gold 7mm Milgrain Wedding Band Heavy Weight. 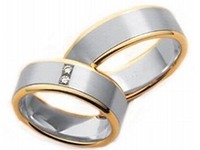 Ships Within: 1-3 Business Days Need Your Item Sooner? 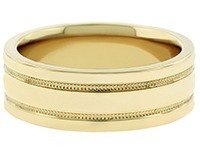 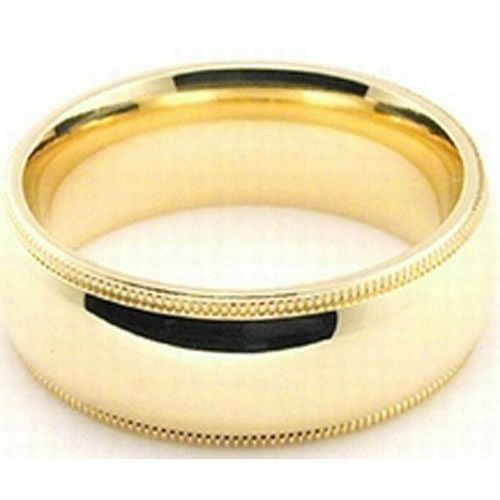 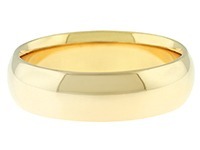 This 14k Gold Plain Milgrain Wedding Band is 7.00mm wide and approximately 2.00mm thick, and is rounded on the inside to provide the most comfortable fit possible. 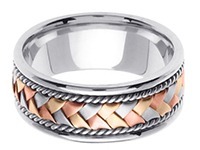 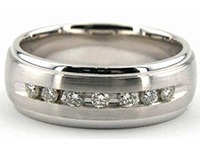 The ring pictured has a Shiny finish. 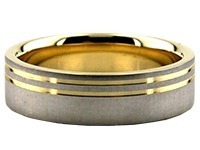 We offer a range of finishes including, Shiny, Satin, Brush, Matte and Hammered finishes. 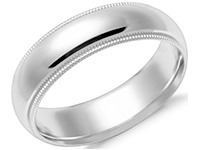 Our classic milgrain wedding bands are have a domed top and a unique milgrain edge, and are rounded on the inside of the band, creating a comfort fit for constant wear that will not pinch the skin and still slides easily on and off of the finger. 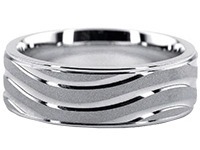 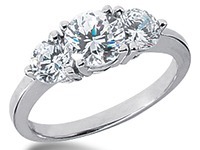 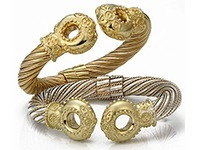 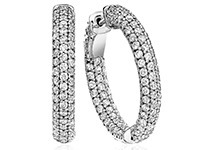 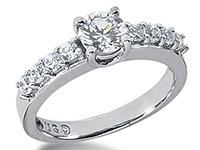 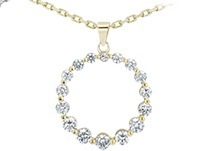 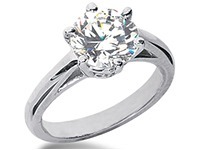 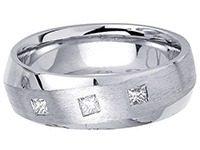 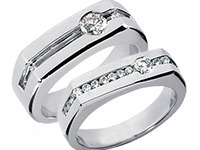 Many retailers today make their rings hollow in an effort to cut costs. 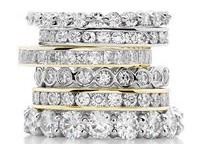 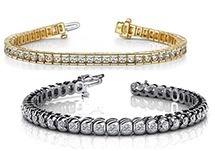 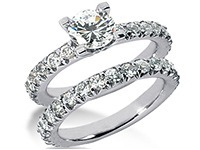 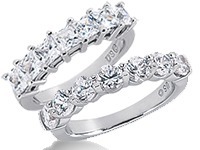 At Wedding Bands Wholesale, you can be sure that your ring is 100% solid gold or platinum, handmade and finished by our expert design team, creating the absolute best value for your money. 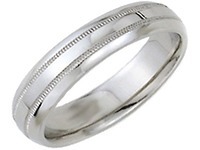 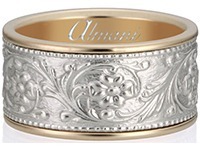 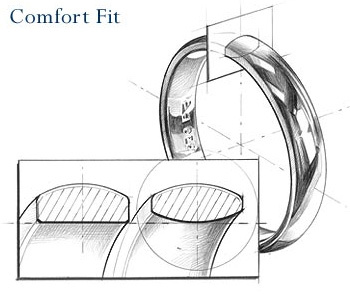 Whether you choose from our plain wedding bands, or one of our ornately designed wedding bands, all of our wedding rings are individually handcrafted - not cut off a tube by a machine, so you can be sure that your ring is a special piece of craftsmanship handmade just for you by one of our skilled craftsmen, right here in the USA.